Commercial Music – The Midttrafik spot „The Bus“ was played more than 4 million times on Youtube! In cooperation with the Danish bus-company „Midttrafik“, well known for their successful commercials, Lars and his team composed the commercial music to one of their spots. „The Bus“ gained over 4 million views on youtube. 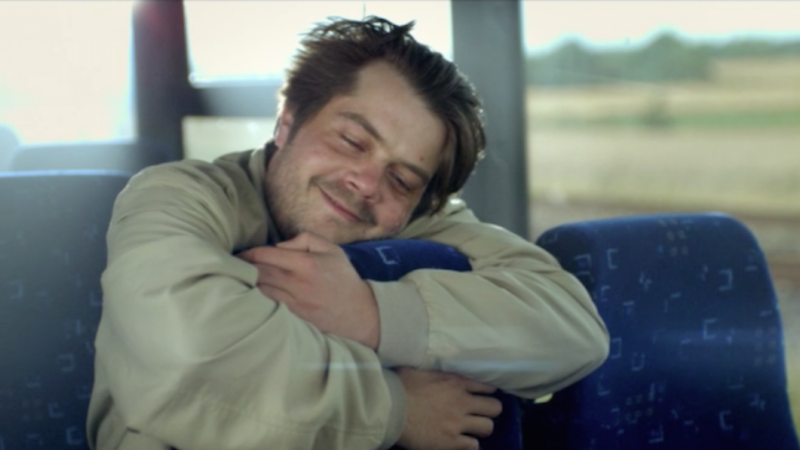 With this campaign the Thomas Falkenberg Agency and M2Film – Production aimed to change the general view of Midttrafik and in fact riding the bus has never been cooler. In the past years the blue Danish buses from Midttrafik have driven all around the world, and with more than 4 million views on YouTube the commercial has proved a great viral success. Besides from the successful 90 seconds commercial the Midttrafik campaign consists of various content for TV, web, social and radio as well as event films and behind the scenes footage – all done as a 360 degree integrated production. The commercial music, with its Hollywood blockbuster-sound contra punctually underlines the irony of this everyday transportation system. Composing the commercial music for „The Bus“ was the 6th collaboration between Director Marc Raymond Wilkins an Ludwig & Loehn. Besides putting Wilkin’s short film „Twilight“ to music. Lars Loehn also made the commercial music for his Spot „Father and Son“ for the Ukrainian mobile operator Kyivstar, for a T-Mobile spot „Bungee“ as well as for the beautiful „Raiffeisenbank“ commercial. At the 2012 Viral Video Award the film was awarded with the jury’s selection: Best Viral of the Year. Against all odds „The Bus“ from Midttrafik also won the Epica d’Or in the film category at the Epica Awards. Besides that the Spot was awarded Gold at Eurobest in Lisbon as well as bronze and silver at the ADC, winning against big brands such as Cartier, BBC and Canal+.